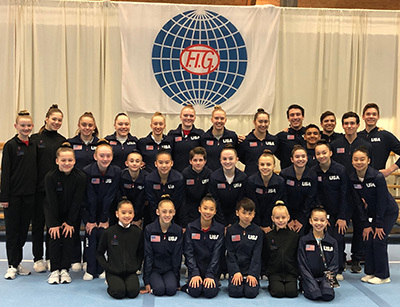 INDIANAPOLIS, April 10, 2019 – Members of the U.S. National Team for rhythmic and acrobatic gymnastics are competing this weekend in World Cup events in Sofia Bulgaria, and Puurs, Belgium, respectively, that begin on Friday. 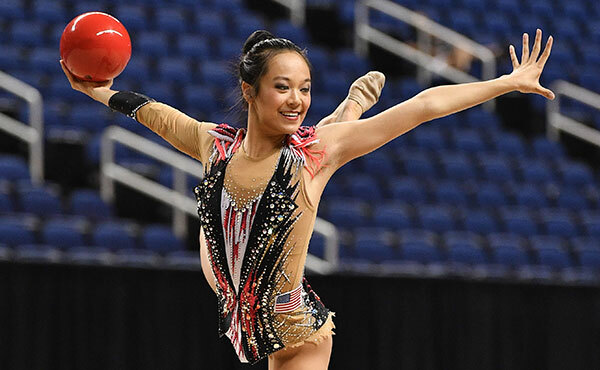 Additionally, the country’s top Division II and III collegiate gymnasts take to the competition floor at the 2019 USA Gymnastics Women’s Collegiate National Championships at the University of Bridgeport (Conn.), also beginning on Friday. Here’s a brief look at this weekend’s competitions. 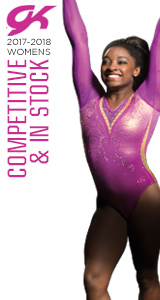 USA Gymnastics Women’s National Collegiate Championships, April 12-14, Bridgeport, Conn. 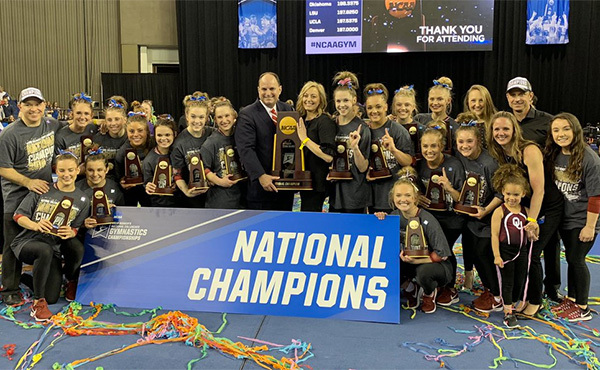 Defending team champion Texas Woman’s University is seeking its third consecutive team title at this weekend’s 2019 USA Gymnastics Women’s Collegiate National Championships that begins Friday, April 12, at the University of Bridgeport’s (Conn.) Wheeler Recreation Center. Yale’s Rebecca Chong and Jacey Baldovino are the returning 2018 champions who are hoping to repeat as the vault and uneven bars titlists, respectively. 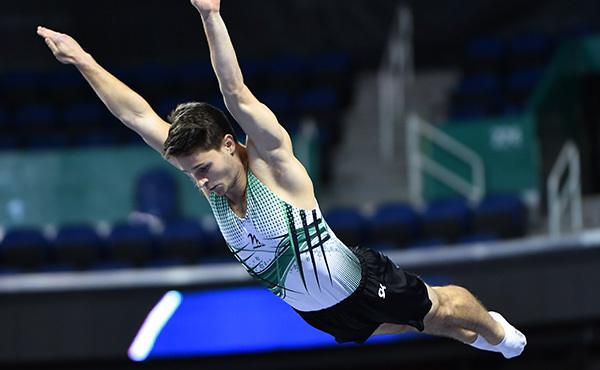 The three-day championships features gymnasts from 13 colleges and universities and will determine the national team, all-around and individual event champions and medalists. The 13 schools and universities represented are: the U.S. Air Force Academy; Brown University; Centenary College; Cornell University; Lindenwood University; Seattle Pacific University; Southeast Missouri State University; Southern Connecticut State University; Texas Woman’s University; University of Bridgeport; University of Illinois – Chicago; Wester Chester University; and Yale University. The eight schools participating in the team competition are Air Force, Bridgeport, Cornell, Lindenwood, TWU, UIC, West Chester, and Yale. 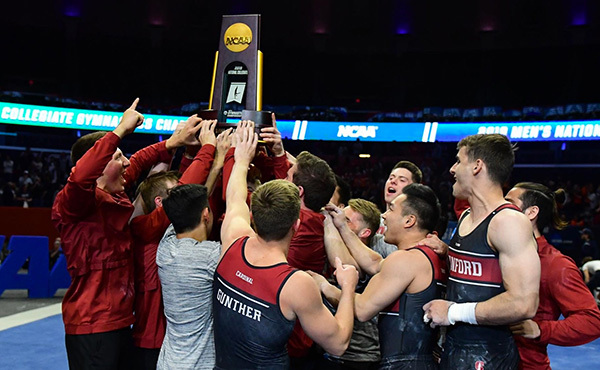 In 2018, the top four teams, in rank order, were TWU, Lindenwood, Air Force and Cornell. In addition to Chong and Baldovino, the other returning individual medalists are Seattle Pacific’s Darian Burns, all-around silver; Air Force’s Anna Salamone, uneven bars silver; and Lindenwood’s Breanna Franklin, floor exercise bronze. Evita Griskenas of Orland Park, Ill./North Shore Rhythmic Gymnastics Center, and Camilla Feeley of Deerfield, Ill./North Shore Rhythmic Gymnastics Center, are set to compete at the Sofia (Bulgaria) World Cup this weekend at the Arena Armeec, along with the U.S. senior group. Competition schedule has all-around and event qualifications on April 12-13, with event finals on April 14. The competition schedule, which is subject to change, is: April 12 – hoop and ball qualifications at 10:15 a.m., 12:25 p.m. and 3 p.m., with group 5 balls qualification at 5:10 p.m. and 6:05 p.m.; April 13 – clubs and ribbon qualifications at 10:30 a.m., 12:35 p.m. and 3 p.m., with group 3 hoops/four clubs qualifications at 5:20 p.m. and 6:10 p.m.; and April 14 – event finals at 4 p.m. All times are local to Sofia, which is seven hours ahead of the U.S. Eastern time zone. Fans can find additional information on the event’s Facebook page and official website. On April 14, OlympicChannel.com will have a livestream at 9:45 a.m., and the Olympic Channel will telecast the finals tape-delayed at 8 p.m., with a simulcast. 2019 Maia World Cup women’s pair bronze-medalists Emily Davis and Aubrey Rosilier, both of San Antonio, Texas/Acrobatic Gymnastics of San Antonio, lead the U.S. Team pairs and groups that are competing in the Puurs (Belgium) World Cup, April 12-14. 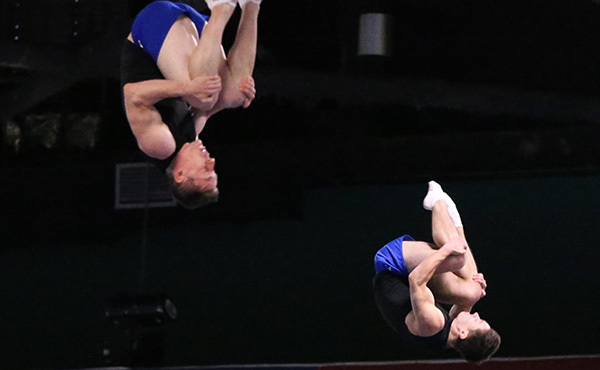 In addition, other national team groups and pairs are competing in the Flanders Flanders International Acro Cup, which is held in conjunction with the World Cup at the Sporthal De Vrijhals. In addition to Davis and Rosilier, the U.S. Team competing in the World Cup includes the 2018 U.S. mixed pair silver-medalists Aisley Boynton of Riverside, Calif., and Sean Obley of Mesa, Ariz., who train at Aspire Kids Sports Center; 2018 U.S. men’s pair champions Angel Felix and Braiden McDougall, both of Riverside, Calif./Realis Gymnastics Academy; and the U.S. women’s group of Elanor Chang of Columbia, Md., Grace Vonder Harr of Imperial, Mo., and Kayla Vonder Haar of Imperial, who train at Emilia’s Acro Gymnastics and Cheer. U.S. Team groups and pairs, listed below by division, are competing in the Flanders Acro Cup in three of the competition’s divisions: age group 11-16; Junior 12-18; and senior. The World Cup schedule is: qualifications – April 12 at 4:30 p.m. and April 13 at 4:15 p.m.; and finals – April 14 at 6 p.m. Times are local to Puurs, which is six hours ahead of the U.S. Eastern time zone. For more information on both events, visit the event’s official website.